Well, I think it’s fair to say that Alitalia’s employees have just called the government’s bluffs, and don’t think that the government will let them fail. They may be right, or they may all be out of jobs in the coming months. Alitalia has been in a terrible financial situation for a long time, though it has been especially bad lately. In late February I wrote about how Alitalia is on the verge of running out of cash. Without a new investment or business plan, they were expected to run out of cash by the end of March. This shouldn’t come as much of a surprise, given that they’ve been on life support for quite a while, but always had investors come through last minute. Yes, they plan on reducing their fleet by 20 planes and increasing revenue by 30% over the course of a couple of years. That’s not a joke… apparently. For context, in 2015 they said that they’d break even by 2017, when in reality they’re performing worse than ever before. Anyway, approval of the new business plan was contingent upon Alitalia being able to work out cost reductions with their employees, which have been rejected. The Financial Times reports that over 80% of Alitalia employees voted against the new agreement. Originally employees were going to get a 30% pay cut and there were going to be 2,000 layoffs, though they reduced the pay cuts to only 8%, and also reduced the number of layoffs, but even that was voted against. So now the airline is at an impasse. 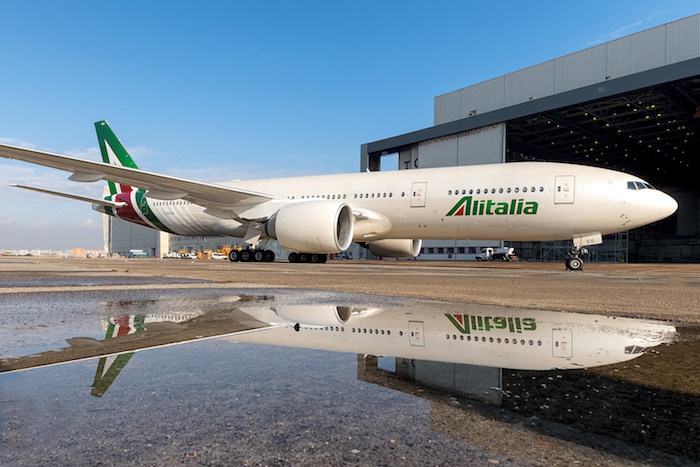 Alitalia can’t get financing without employees being onboard with this new agreement, and the government has said that they won’t bail out the airline. Italy’s prime minister had an emergency meeting last night to discuss the situation, and Alitalia’s board is meeting today. What a situation. As much as I’d love to say that the employees are being greedy for not taking the layoffs and pay cuts given the company’s financial situation, they may be in the right here. Something tells me they’ll miraculously find financing last minute (it’s not like the pay cuts and layoffs would bring the airline close to profitability). Or who knows, maybe their gamble won’t pay off, and everyone will be out of a job in a few weeks. I suspect we’ll be learning a lot more about the situation in the coming days. What do you make of this situation — are Alitalia employees smart to call Alitalia’s bluffs, or are they being greedy and going to be out of jobs soon? The losses, delays, bailouts and ‘strategies’ will just continue in this spiral of hopelessness for years to come. They’ll be in no better position in 2019 than they are now. What is the reason Alitalia is so unprofitable while airlines like Iberia and Aegean seem to be doing ok? Poor management? Unprofitable routes? Corruption? Perhaps before looking for solutions they could agree on what the cause of the problem actually is? Actually, just to add a few things to your post, in Italy special laws were enacted in 2003 regarding hard financial situation for firms. It’s pretty likely that this situation will evolve towards the so called “Special Administration”. According to this law, both BoD and CEO given (partially)up their power in favour of a “special commitee” nominated by the Govt. This commitee, namely “commissario”, has special powers to run the company over the upcoming months, in which he’s allowed, by law, to deny payment towards non-operative debts. By doing so it’s easy to understand that the financial situation may get SLIGHLY better. But what’s the price of this? At the same time, this “commissario” will try to find new investors, given that the govt. will not bail out, willing to acquire specific profitable assets of the company (in someone may find any): law allows to split the company into different assets that may be sold separately. However, the consequence of this whole chaotic situation is the enormous loss in the company’s value, even because any possible buyer is obliged to deny (by law) any layoff during the first 2 years, which may sound pretty unlikely. So if this option of turning the financial situation better and selling the airline (maybe to LH?) at ridiculous prices sounds hard to achieve, the other pathway is simply called “bankruptcy”. We’ll see, but the other question here is: what is going to happen to AZ travellers? The key problem is the lack of the normal capitalist pressure valve of letting failing companies fail. This is cited as a key reason why US airlines, BA etc were able to negotiate restructuring with employees (as they really might disappear and you have no job), whereas basket cases like Air France and Alitalia limp on year after year, as it’s irrational for the employees to take cuts since they don’t fear losing their job because the government is always there. South European mentality in combination with old legacy (read: expensive) airline. Iberia was a mess until bought by IAG, and Aegean doesn’t have the old legacy baggage. 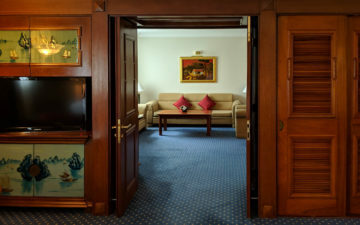 More or less all European legacy carriers have had to make big changes in recent years. Dealing with the economics is easy, dealing with the unions not so much. 1. UA/DL/AA complain about Alitalia. 2. TSA adds laptop ban to Italy. Italy itself is on the brink of collapse. Only the endless “free money” from the ECB is propping it up. Bailout out Alitalia would be a violating of the “no state bailout” clause of the EU. If it happens regardless, the ECB must pull the plug and Italy goes under. I have reservations on Alitalia this summer, will I still be able to fly? Should I look at getting a refund? Is that even possible? I am nervous. @ Matteo, I can sympathize. Congratulations on your first post! Welcome! Looks like the wildly promoted snazzy new outfits helped the bottom line. Workers even voted against the unions who sponsored the plan. That’s bad, even for Italian standards. I’ve seen countless AZ “near-failures” but this is by far the worse. My 2 cents: AZ will be restructured as a small long-range airline serving some high-yead tourist markets, while EasyJet & Ryanair will step-in as the de facto national carriers. I have reservations for 12 of us in less than 4 weeks fro Boston to Rome. Does anyone know what typically happens in these situations? Do they just stop flying in a few weeks? Italian media are quoting company sources assuring that flights “in the immediate future” won’t be affected. Rob L, I have the same problem, I have tickets from São paulo To Rome in 3 weeks, and really worried!!!! I do not believe that government could stop AZ operations at the beginning of high season. It could collapse tourist flow in Italy as AZ is the biggest tourist carrier here. More likely they will appoint “comissario” to let company surviveat least till November to mitigate bad consequences for tourist indestry. The problem is that all reports say Alitalia only has cash for another 2-3 weeks of operation. I hope they figure it out. The catch is that AZ is providing an “essential” public service. That’s the loophole the gov’t can use to grant some extra “emergency” funds. All you guys shouldn’t be too worried. AZ will be bailed out until the end of time or until the Italian state itself completely runs out of money. At this point Italy itself will be bailed out… by Germany. So this is just part of the master plan for the Germans to ultimately pay for everything. Smart people, those Italians. “historically” Alitalia got bailed out over and over – but the EU has tightened the rules over the years and at some point, their patience will be over… it’s time for Alitalia to go out of business. And Alitalia is no longer the largest carrier in Italy – RyanAir already passed Alitalia regarding number of passengers carried in Italy, easyjet is hard on their heals. Hi. I’m worried because I have tickets booked for May..Alitalia won’t refund but I am concerned that the ticket from Italy won’t be valid if they go into administration. I wish I’d booked with another airline…i foresee lots of problems by the end of May & I’ll be stuck in Naples!! What information do you have that forces a lot of problems by the end of May Elaine? I am not saying there won’t be but wanted to understand why you made that statement. I also have flight plans at the end of May into the beginning of June. From all I have read, the Italian government fully understands there is a huge tourist season and the reason they got the approval for the 400 million euro is to keep things running throughout the summer. I certainly understand things can fall apart in a hurry but it seems as though things for the next 30 days or so should be ok. What do you know that I don’t? The 400 million won’t happen unless they go into administration so I personally want that to happen.